Because timing is often a challenge during the testing portion of product development programs, test engineers are turning to accelerated testing methods for answers. When time runs thin toward the end of a product development program, testing engineers know that they have our work cut out for them. In the process of product development programs, testing is usually the last thing to be done before product launch. When processes are delayed or problems occur (which they often do) testing suffers because the time allotted for testing has been eaten up fixing some other problem. 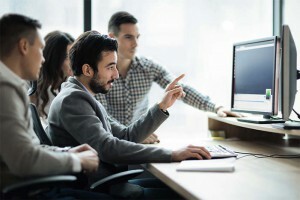 One way to handle this age-old problem is to explore the use of accelerated test methods, which can drastically cut testing time, while still providing crucial product data. Formally developed in the mid-1980s, accelerated methods speed up the testing process by using more intense test variables such as higher temperatures, pressures and humidity, and harsher vibration schedules. 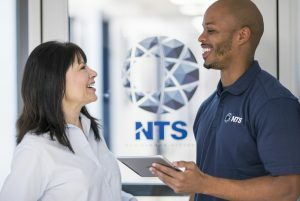 Highly Accelerated Life Testing (or HALT testing) is one of the most widely-used accelerated test methods we regularly use at NTS. Located in the GMW3172 standard, HALT testing is fast and effective because, in addition to the more intense test conditions, it combines test conditions that previously had to be conducted separately, and saves a great deal of time by uncovering problems more quickly and thoroughly during the development phase of product launch. Larry Edson, Technical Fellow for Reliability and Accelerated Testing at General Motors Corp., explains that there is a whole other facet to HALT testing that includes a shift in the timing of testing during the product development process. Edson is Chairman of the GMW3172 Team and the author of both the GMW3172 standard and the GMW3172 Users Guide (General Motors 2006). “Almost every test is accelerated,”? Edson points out. “The whole point is to get information about the product without actually observing the product throughout its life in real time.”? Edson explains that during the product development process, there are three main phases: analysis, development and validation. To date in the industry, the lion’s share of the testing has occurred during the validation stage. One important distinction between HALT and most traditional testing is that HALT testing is performed during the development phase. This is an important distinction, Edson says, because fixing problems during the development phase is much less expensive than fixing problems during the validation phase, once the product has already been developed. HALT testing takes full advantage of this “early bird discount” by pushing the product sample to its absolute limits, and then fixing problems before the product is fully developed. The GMW3172 standard is part of a continued focus on improving analysis and development activities in order to minimize problems during the validation phase, Edson explains. “So simply put, accelerated tests that occur during the development phase not only speed actual test time by using extreme variables, but they can save time and money because it is much less expensive to fix problems during the development phase,” says Edson. According to Edson, correlated testing used to be the only way to test. With this more traditional approach to testing, focus was placed on getting a sense of the product’s users, and how the product will be used over time. The test data could then be correlated to use, and tests could give an idea of how long the product’s “life” is. However, Edson explains, sometime during the mid-1980s, new concepts such as product ruggedization and robust engineering started to surface. At that point, the industry started to see a shift in focus in which more attention was given to correcting failures in order to provide a more robust product. To that end, HALT testing uses temperature and all six axes (commonly referred to as the six degrees of freedom) simultaneously to determine the operating and destruction limits of components. The point is to develop products that will be robust to these stresses. HALT testing is fast and efficient because it combines the six degrees of freedom vibration, and temperature testing in one procedure using a liquid nitrogen chamber that can change temperatures about four times faster than regular test chambers. Because HALT testing reduces the amount of time needed for testing, it also uncovers design problems more quickly than traditional methods, which allows for a faster time-to-market. Accelerated testing processes such as HALT can be more cost-effective than traditional methods because, due to the fact that they are so much faster, they require fewer man-hours and free up test equipment for other projects. HALT testing not only uncovers problems more quickly, but sometimes uncovers problems that might not have been uncovered at all during testing, Edson says. Comparing traditional or correlated testing to HALT testing is sort of like comparing apples to oranges. There are some test methods that combine temperature with vibration; however, these methods do not test all six axes of vibration simultaneously. 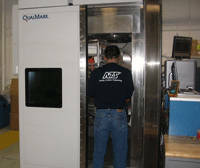 At NTS, accelerated testing is performed typically on parts, radios and fuel injectors. However, these tests are also designed for use on hard drives, printers, and other electronics. In fact, due to an increase in demand for accelerated testing during the past few years, new equipment was added to accommodate it. As with any method, it is important to use some common engineering sense when employing accelerated testing. Extensive product testing will yield a more robust product, but how robust does a product need to be to stand up in a real-use environment? And what are the costs? If you were to test a deck lid, for example, at 200° Celsius, and use the data to develop a deck lid that would hold up in that environment, chances are that you spent unneeded resources over-engineering a product that is more robust than it needs to be. That’s why it is important to know, in advance, how the product will be used and in what environment it will be used. As the automotive industry continues to struggle, we’re likely to see an increase in the use of accelerated test methods such as HALT, and perhaps a shift in which more time is spent fixing problems during the development phase. Tools such as Finite Element Analysis (FEA) and Failure Modes and Effects Analysis (FMEA) can support this shift. To that end, computer simulation may also prove useful in enabling test engineers to perform testing on parts that are closer to production type. Understand the product’s realistic use and how it relates to test parameters. Many test engineers find themselves in situations where they are testing to a certain specification, but they do not understand why testing is performed a certain way. An understanding of why will not only give meaning to the test results, but also give test engineers and technicians an understanding of what is important in the test. Establish good communication with the program manager and product launch team early on in the product launch process. Communicate regularly with the program manager so that you know in advance of any changes in timing. Also make sure to communicate what you’ll need in terms of time and resources to get the testing done. This way, if processes earlier on in the launch process take more time than allotted, then the program manager will know that, in order to meet the scheduled launch date, they must shave time off of other processes before testing. Hold program management accountable. If you have communicated your testing needs up front, and you touch base with the program manager for product launch updates to find out that the project is not progressing as planned, then it is a good idea to restate your needs, and remind the manager how much time was originally allotted for testing. Test the part as close to production type as possible. This also includes planning for fixtures that simulate real use. Familiarize yourself with the test specification. This is not always an easy task because there are so many specifications. Although there are some widely-used test specifications such as JEDEC, IEC, ISO, MIL and USCAR, to name a few, many specifications used for testing are company-specific. If you can familiarize yourself up-front with the requirements, then you may save yourself precious time in the long-run. This article was authored by Robert Rogers of the NTS Detroit laboratory. Reprinted with permission from AIAG’s Actionline magazine’s Mar/April 2007 issue.